I wanted to go big and bright with my nails last week and opted for something in the orange family. Ended up landing on Essie’s Saturday Disco Fever and got a TON of compliments from friends. Works whether or not you have a tan which I appreciate considering I haven’t spent much time in the sun yet. 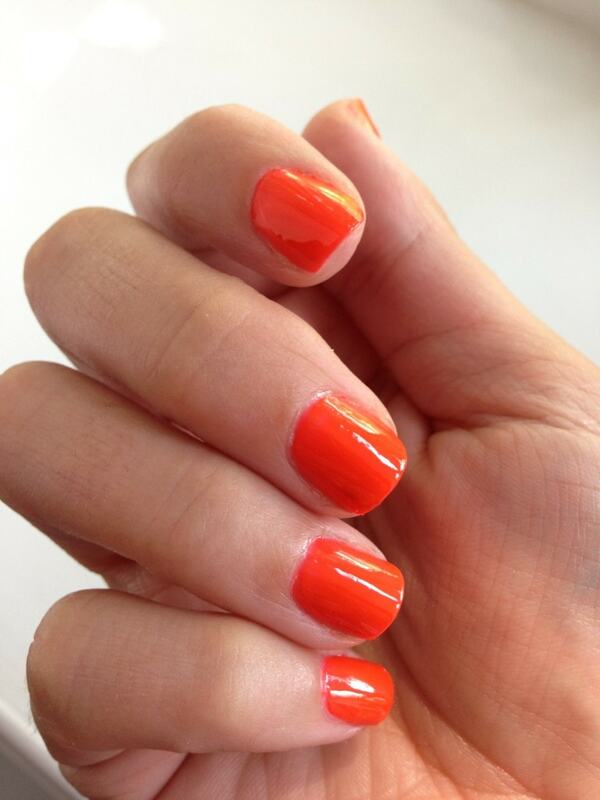 Essie Neon Summer Saturday Disco Fever is available for $3.60 on Amazon right now! There’s only 12 bottles left under that price. If you like the color you should take advantage of that sale! Great price. NOT available for PRIME shipping – FYI.